This dish is bursting with summer flavours and perfect as a side dish at a BBQ or picnic. The recipe below features feta and almonds but you could also use our tapenade recipe and add some sea purslane as per the photo above. 500g mixed tomatoes (small & large), blanched and peeled. -Blanch and peel your tomatoes. Leave the smaller tomatoes whole and slice the large tomatoes. Place in a bowl. -Mix the oil and vinegar together and then pour over the tomato mix. Leave the tomatoes in a fridge for a few hours to get to know each other. -Put the scooped watermelon, celery and soused shallots into a wide flat tray and then add the thyme. 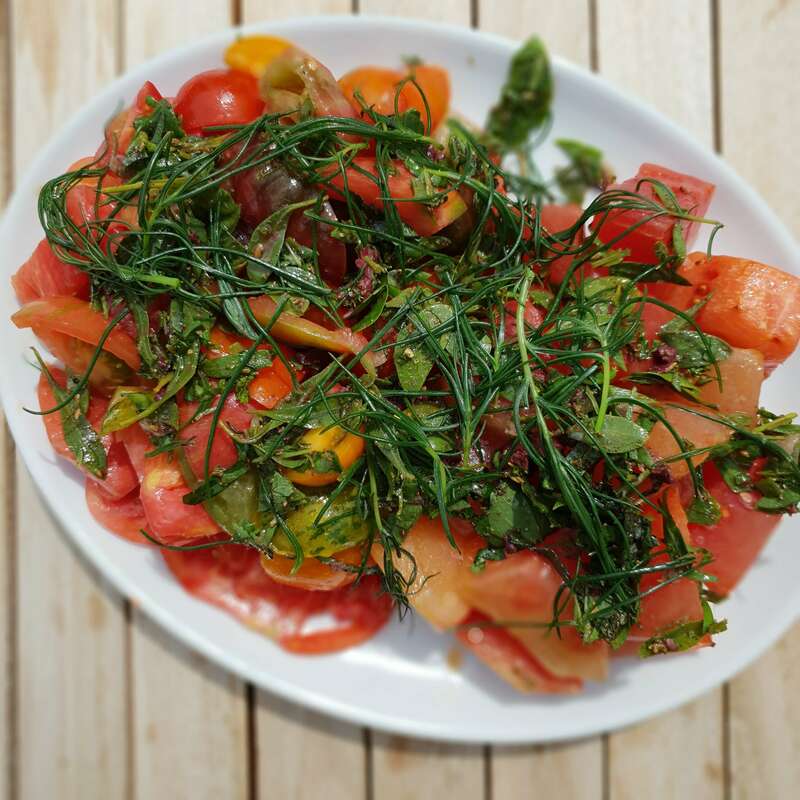 -To serve, stir the basil and mint into the tomato mixture and mix with the watermelon salad. Spoon the salad onto a big wide plate and scatter the feta and the almonds over the top.